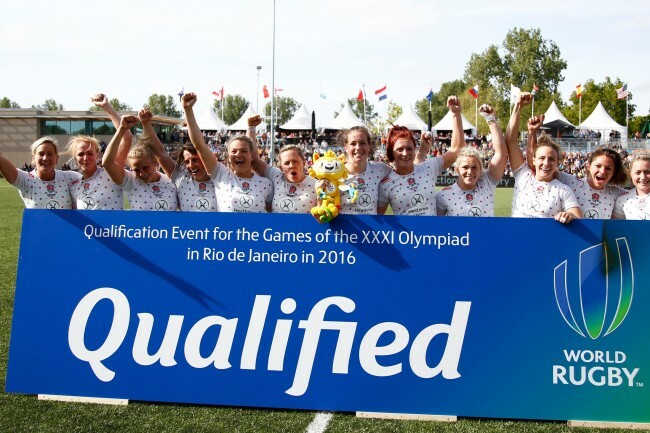 Trouble would appear to be brewing between Clubs and the RFU after the peremptory announcement that contracted women’s Sevens players will not play any part of the 2015/2016 playing season in preparation for the 2016 Olympics in Rio. The reason is apparently ‘player welfare’. In the meantime the clubs will have to work out how they cope for a whole season without their best players; then will said players be able to get back into their club sides when their Sevens’ contracts come to an end and/or they are released back. The contracts awarded after the winning of the Women’s World Cup were to be reviewed at the end of a year; I don’t know if any changes have been made to the list of players involved, but one would assume that there must be some tinkering. Although it was brilliant news that some of the players were to become professional I had assumed that it was a reward for how brilliantly they had done during the World Cup. Now I’m not so sure. I wonder how the players feel who have now had club rugby taken away, and how happy most of them were at not featuring in any of the 6 Nations. The life-span of a sevens’ player must also be shorter because of the physicality involved, it must surely be a young person’s game. Since the awarding of so few contracts in both rugby and cricket I am wondering about how other players are able to compete, whilst juggling jobs and training to contest the few places available with professional athletes. When I see how the FA have capitalised in the success of the Women’s World Cup and the club sides are now benefiting from increased attention, bigger gates etc it’s a real shame that the rugby side that actually won their World Cup were not able to gain the same kind of positive attention for their respective clubs. The RFU also made a massive error in the marketing of the Women’s Sevens in London where they were tucked away at the Stoop with virtually no marketing or publicity at all and played first class rugby in front of a hand full of fans, whilst all the fanfare took place metres away at Twickenham. You couldn’t help but feel that the women’s sides were treated very poorly at that tournament. Add to all that the fact that at some stage in the process the authorities are going to decide to add some Scottish and Welsh players to the mix to turn the England sevens side into a GB one for the Olympics, then some of our players will have missed out in every direction. I totally agree with your comments and find it refreshing that somebody is actually speaking out about this. If this was the the men’s game they were messing with there would be uproar, but because its the women’s game nobody gives a care and some at the RFU seem to be able to do exactly what they like.